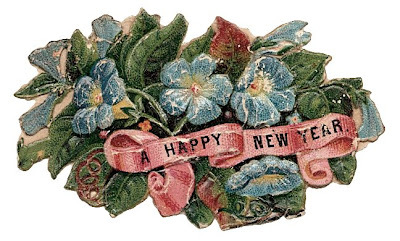 Wishing you all a very Happy and Healthy New Year! These just placed under the TENT! Making room for new Spring products! Cindy at My Romantic Home is hosting a Year in Review party. Let's celebrate the end of 2008 with photos from this year's highlights. I really enjoyed going through all of my posts from the year and have put together a few mosaics of some of my favorites. 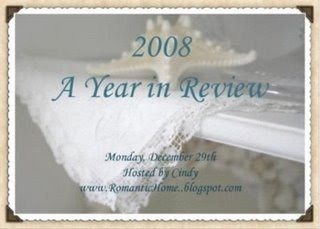 Don't forget to visit Cindy's blog for more party goers posting their Year in Review! Winter/Spring '08 - A bday cake I made for my daughter, Spring flowers, some new products, pretty storage, and May flower jar tutorial. 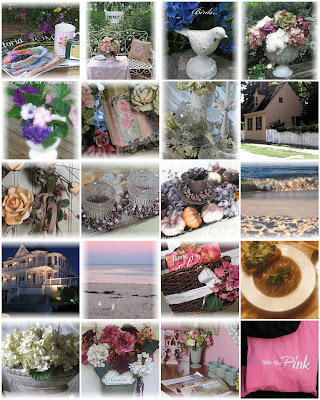 Summer/Fall '08 - Beach pics, product photos, fall cooking and Make Mine Pink Retreat memories. Christmas '08 - can't believe it's all over! All of that prep and work but it was fun. Thanks for visiting - and don't forget to stop back at Cindy's for more! Wishing you and your families a very Happy and Healthy 2009! I just wanted to share a few more Christmas "things" with you. One of my decorated trees. This one is in my living room/work studio. 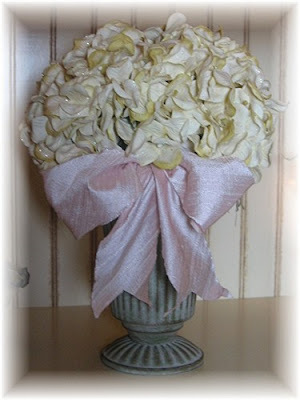 I decorate this one with lots of flowers, this year I used cream glittered hydrangeas. 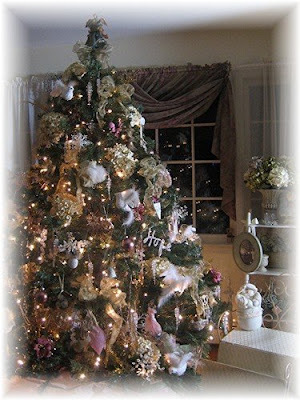 I also display all of my pretty ornaments in pastels, cream, white and gold and silver. I tried to get some closeups of my favorite sparkly Swarovski snowflake ornaments. They just weren't coming out very well. Each year, my husband gives me the newest ornament for the year. It's an annual trip he makes to the mall with my daughter to purchase them. 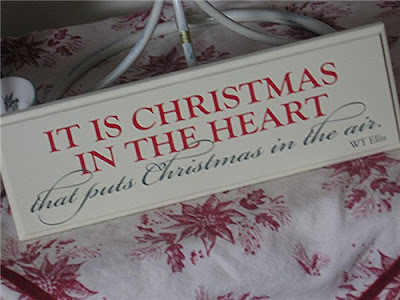 A cute little Christmas sign - a favorite gift from my mom. Here is a great gift idea. 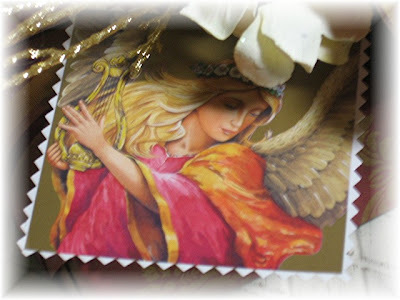 I needed so many little gifts this year, for teachers, mail carriers, student teachers, dance teachers, secretaries, etc. 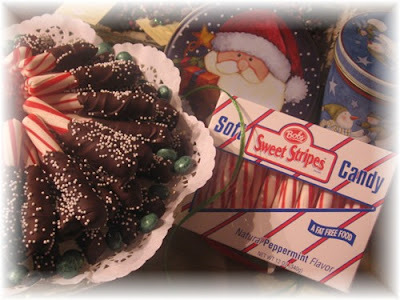 These chocolate dipped peppermint sticks are so easy to make and pretty too! I dipped close to 300 of these this year and packaged them in pretty little tins wrapped in cello and ribbon. Chocolate and peppermint - a yummy combination! By the way, I ordered the candy sticks from Blair Candy in Pennsylvania. They have tons of great stuff! Hope everyone is enjoying their holidays! I would have done this sooner, but I was crazy enough to be out shopping all day! There were things to be returned at the mall and of course my daughter wanted to do this today. I think the mall was more crowded than before Christmas. The last place we hit was Fortunoff's Christmas store. It was a mad house and there was hardly anything left. We couldn't believe it. So I wanted to be a part of the markdown craze. Everything left under Christmas has been marked 30% off my already pretty reasonable prices, so check it out HERE. I appreciate all of my readers and the time they take to read and comment on my blog. See you in 2009! Pretty purple berry rings just placed under the TENT! Last weekend, my husband and I spent some time in NYC. We went to his company Christmas party, spent the night at a nearby hotel and did some shopping the next day. We had to see "the tree" of course. So I put together some photo collages of pics I took while we were there. This was a really cool tree in the hotel lobby. The tree at Rockefeller. I was trying to find a link to the story behind this year's tree. Basically, it was a couple's (who are no longer alive) very first Christmas tree together. And the wife used to say that one day this tree would be in Rockefeller Center. I wish she were here to see it made it there! Look at those crowds! 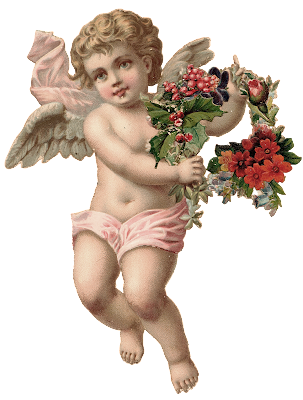 And the pretty angels and huge snowflakes on the building. 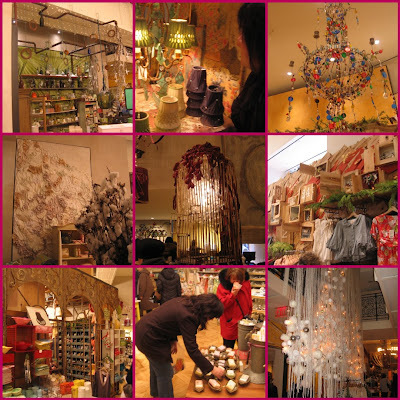 A necessary visit to Anthropologie at Rockefeller Plaza. Love that store and their really cool displays. I could spend hours in there! But we didn't, we had too many other stops to make. We also spent some time in Bryant Park. There was a great Holiday Fair going on with some really cool and artistic vendors. I didn't get any pics, but they were all set up around the ice skating rink and another beautiful tree. We also walked past the windows on 5th Ave, really cool but another very crowded spot! Our weekend was a lot of fun but it went too fast. Before we knew it, it was time to pick up the kids. We make run back in after Christmas with the kids. We'll see if we have the energy! I have a couple more of these cute little stands left! Makes a great tablescape/buffet lift. Check out the Tent! Christmas comes but once a year. Anticipation is part of the season. But to see the most gloriously wrapped gifts under the tree makes the anticipation nearly unbearable. Wrapping the gift is where you get to have some real fun. 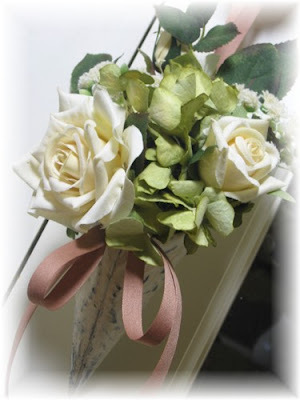 Even plain paper can be so pretty when decorated with vintage ribbon bows and millinery flowers. A broken costume pin can add some sparkle. If you have pretty holiday fabrics, you can have your own unique source for wrapping gifts. A Vintage table runner can be a great wrap for a bottle of wine or sparkling apple cider. A hand-crafted gift tag personalized for the recipient shows your thoughtfulness. 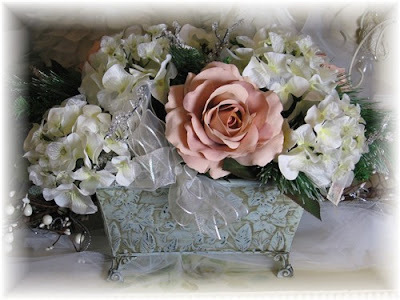 Add a personal touch here or there, it is an opportunity to express both yourself and how much the recipient means to you. Join the Boutiques at Make Mine Pink this Friday, December 12, as we present some of our favorite gift wrapping ideas and hints because we believe opening a beautifully wrapped gift brings as much pleasure as the gift itself. 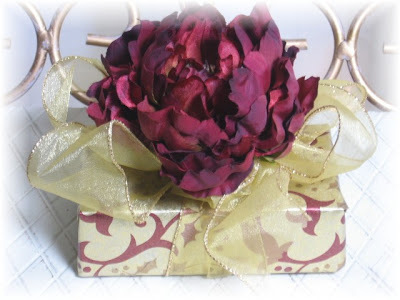 Click Here for some of my past Gift Wrap Ideas. Click Here for some more of the Make Mine Pink Holiday Gift Wrap ideas and Decorating! I just wanted to share a pic of these floral cones I just finished. A customer just ordered them to give as party favors for a celebration of her baby's blessing. I wish I had taken a pic of them all together. They looked so pretty and festive all wrapped up. 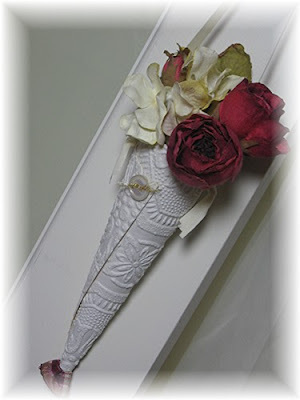 I used textured wallpaper to form the cone, filled them with berry roses and glittered cream hydrangeas. I added a piece of berry plaid ribbon to the bottom and embellished the cone with an old button and gold thread from grandma's collection. 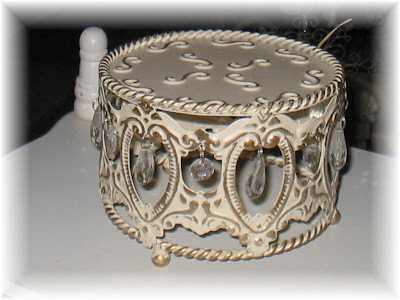 I love to include pieces from her collection in things that I create, especially for something like this, a beautiful little babie's celebration! It's time to move another item under the TENT. I really want to clean up inventory to make room for some new lines in the new year. So keep checking back for some great deals! 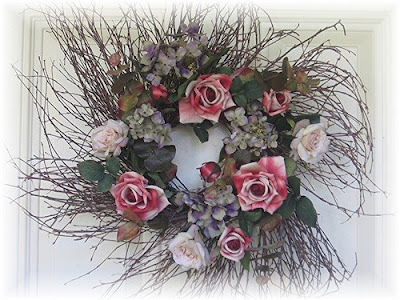 This week it's a beautiful twiggy wreath that I've made. I only have one left. Do you need last minutes gifts? How can we help you? The boutique owners at Make Mine Pink understand, because, you see, we are not only boutique owners, we are wives, mothers, daughters, and friends too. We know what it means to find the perfect gift for that special person. We too shop at last minute, at odd hours, or in our jammies—so ask! We are willing to help you find the perfect gift, wrap it, and send it on the way. It is our pleasure. My special offer for today only: Free Gift Wrap on all orders placed today! I just love making packages pretty. Visit my website HERE. Tent Sale Tuesday is Back! 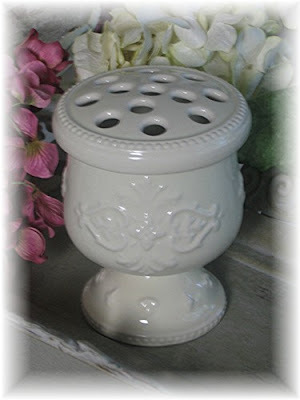 It's been a while, but starting today I will add a new item to the Tent Sale category of my website every Tuesday. It means great sales for you and cleaning out inventory for me to make room for some new treasures to sell. Today I am putting these great floral arrangers under the tent. I thought I sold out of these over the summer, so I was happy to have found just a few more. 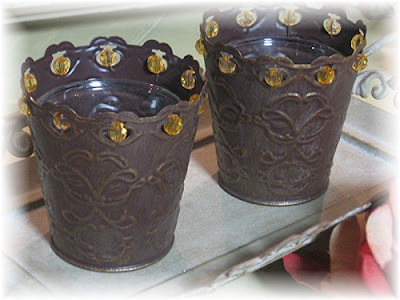 They look like little toothbrush holders, but the little holes are for flower stems and make small bouquets look just perfect! 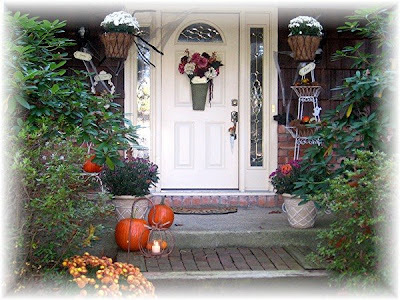 Since I am not a black friday/Thanksgiving weekend shopper, I stay home and open my house to my local customers for holiday shopping. My entry, dining room and living room are filled with pretty things to buy. I have Christmas music playing, a candle burning, and coffee and goodies. I love this weekend because I get to play store. This time, my kids were all involved in the process, unpacking boxes, pricing and displaying. We all had fun working together and they were thrilled to receive some $$ for their hard work. Even my youngest helped hang the ornaments on the tree. Here are some pics of my displays and some new products too! 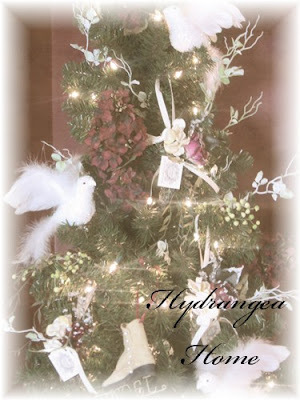 A table top tree in the dining room with burgandy hydrangeas and white feather birds. A corner of the living room. The aqua oval frames are new and will be listed this week. Another corner of the living room. 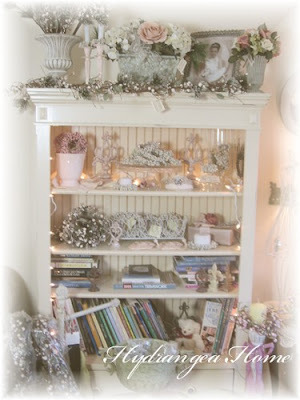 A pink and silver display. Love this color combo of bronze, cream and aqua. 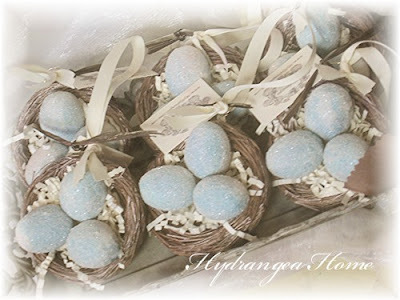 Some sweet little bird's nest ornaments I made this weekend. Click on the pic below! 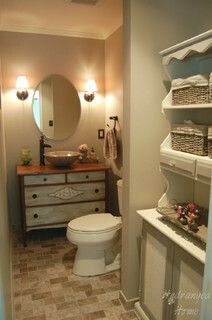 And for more inspiring holiday home pics and ideas, visit Melissa's blog at The Inspired Room! 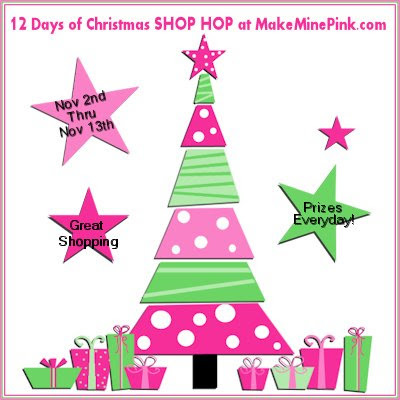 Christmas at Make Mine Pink - Pink Friday! We are still going strong will Christmas listings at Make Mine Pink. So if you're like me, not choosing to fight the Black Friday crowds. Check out the boutiques' Pink Friday offerings here. 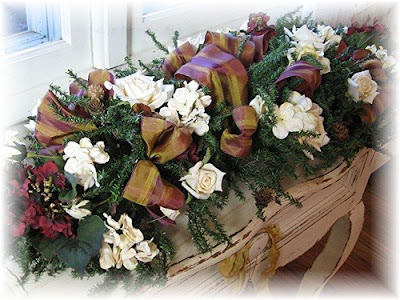 Today I have marked all larger Christmas wreaths and arrangements 10% Off! Check out my listings here. I would like to wish all of my readers a very Happy Thanksgiving! I am looking forward to tomorrow, all I have to be thankful for, and the food, the family, and rest. I am not hosting Thanksgiving so it won't be a ton of work for me. I will be making the Mashed Turnips with Crispy Shallots, see HERE for recipe. 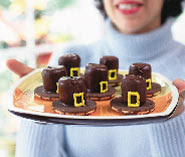 And Pilgrim Hats for the kids, see the recipe HERE. I am also thankful for the friends that have nominated me for the Marie Antoinette award, that I have taken forever to post. I am horrible at doing what I'm supposed to do with these awards, but appreciate it very much! Janet - She makes such fun and beautifully creative pillows! Georgia - Home of "Big Bottom Bags" and vintage linens. Melissa - Owner of the beautiful new website the Casual Cameo. 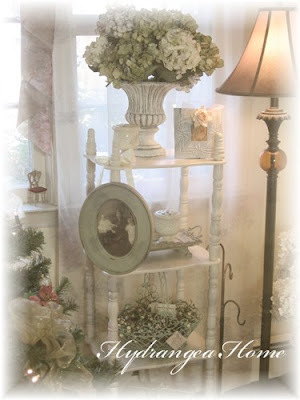 Katie - What a beautiful selection of home decor and gifts! Wow, this week really flew. I haven't posted since last Friday and it feels like yesterday. Come visit the participating shops at Make Mine Pink for their Christmas offerings for Pink Friday. 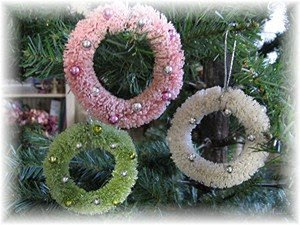 In honor of the event, I am giving away a Free Bottle Brush Wreath Ornament with each purchase from my site on Friday November 21st while supplies last. Browse my Pink Friday items here. There's something so magical about the holidays. 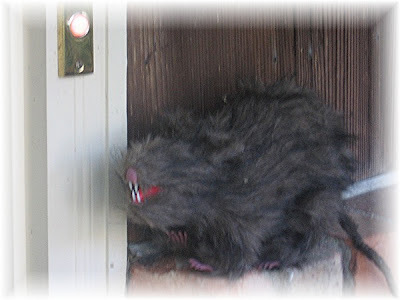 As you walk past a neighbor's home and catch a glimpse of a tree lit through their window, or the faint glow of a candle through the frosted glass, you can only imagine what lies beyond. Images from our own holidays are readily available to fill in the blanks. It's mysterious, it's magical, it's toasty warm fires and mulled cider. 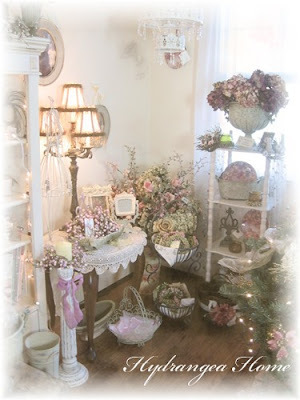 This month, the members of Make Mine Pink will share glimpses into their homes and shops with you. From favorite finds, to treasured recipes and special gift wrap how ideas, we'll have something for everyone. Please come join us each Friday as we open our hearts and homes to you. 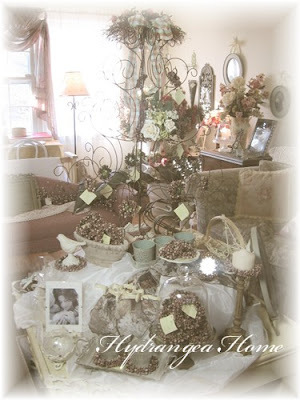 I was busy this weekend creating, photographing and listing. 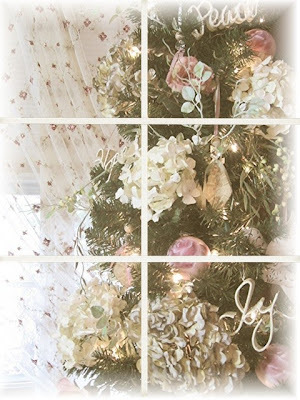 Hope you like the new Christmas decor on my site. I am working on pieces in all colors. 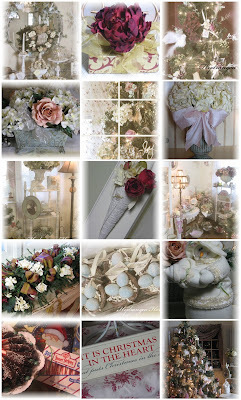 So if you like traditional burgandy and green, or cream and pink with lots of sparkle, there is something for everyone! I'm on a roll so check in often for the best selection. It's also Show and Tell Monday at Make Mine Pink! 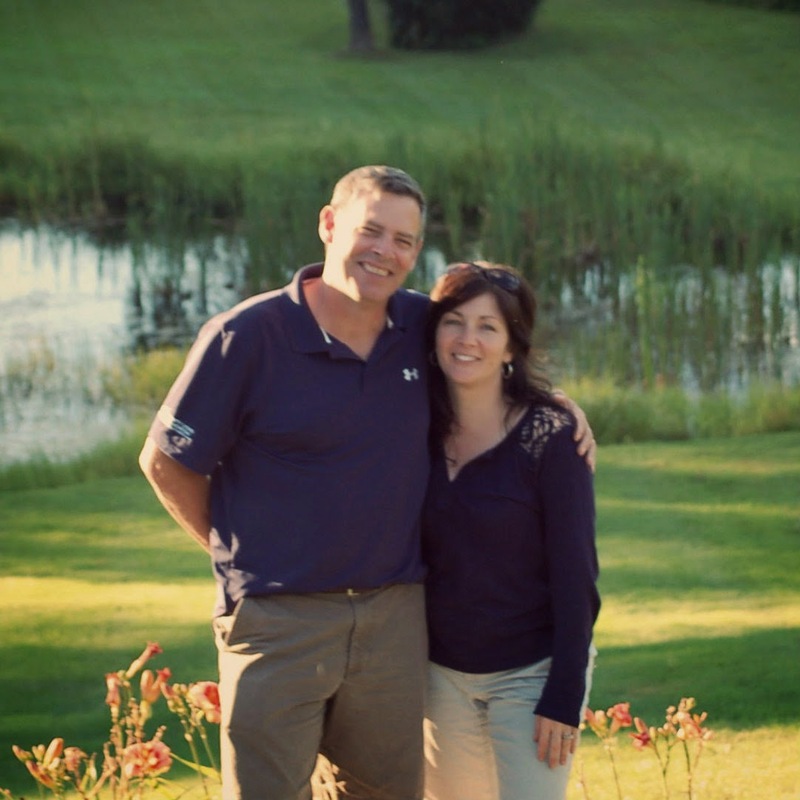 Be sure to visit their blogs to see what they have been up to. I know it's only November 1st, but let's face it, the stuff has been in the stores for weeks already. 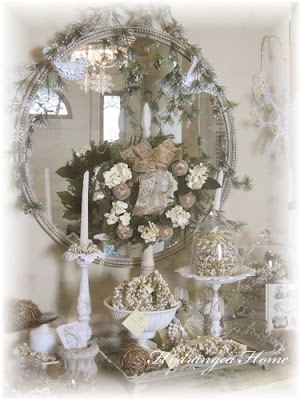 I started listing some of my Christmas decor for 2008, just in time for the MMP Twelve Days of Christmas Shop Hop. During the event from November 2nd through November 13th, all Christmas on my site will be 10% off .New treasures will be added to my site between now and December 15th, so check back often! 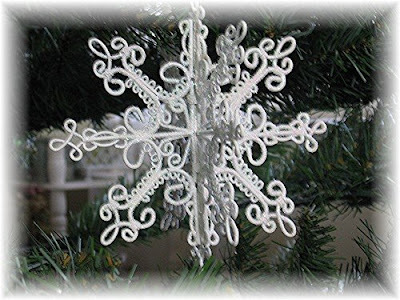 There will be handmade ornaments, xmas tussies, centerpieces and wreaths. I love creating for the season but I am always just a little behind since I can't really get into the mood until after Halloween! 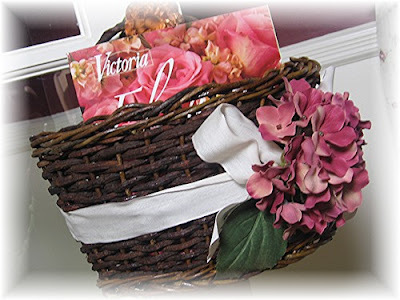 PINK FRIDAY "It's In the Basket"
This is a fun one and a creative one too. Click here to see what the girls at Make Mine Pink are offering for this special pink shopping day. 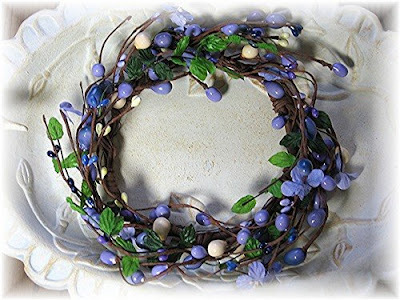 Click here to see my products. Have fun shopping! It starts this Sunday so get ready to start searching! There will be great prizes for this event. Click here for more info. One of my favorite parts about the fall and the cooler weather is all of the great food that goes along with it. The soups, chilis, breads and pumpkin spice flavors. Cooking is something that I love to do and have to do. Although, it gets very hard during the week with the kids after school schedules, and of course everything happening during dinner time. But I refuse to give in to that and go for fast food or take out (only if I'm desperate). Besides, my kids really do love to eat home cooked food. I also include them in the preparation of the meals. My oldest is an excellent baker, so we always have great desserts thanks to her. My second one loves to cook and can't walk passed the stove without stirring and he makes a great risotto. My third guy is showing interest too and his specialty is guacamole. And finally, the 4yr old is my vegetable washer and she loves her job! So even if it means starting dinner at 2:00 in the afternoon so that we have something good to eat when we walk in from the soccer field, it's something that is very important to our family. I usually double the recipes I make so that we have enough for 2 nights. However, sometimes the kids enjoy it so much that it doesn't make it a 2nd night. Oh well, I can't complain, they are eating healthy and loving it! 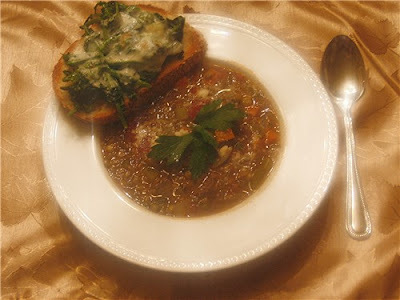 This recipe for Lentil Soup with Beef is one I made the other night. I doubled it and had enough for 2 nights of dinner and 3 lunches the third day. I served it with Broccoli Rabe toast. I sauteed two bunches of blanched broccoli rabe in olive oil and fresh garlic place on top of slices Italian bread that I first had my son brush with olive oil (they're great for jobs like that) and then placed a slice of mozzarella on top of each and put under the broiler for just a few minutes. I find that my kids really take pride in their part of cooking the meal and my hope is, they take what they learn in the kitchen and cook for my husband and I one day. Let me know if you try these recipes. Enjoy! 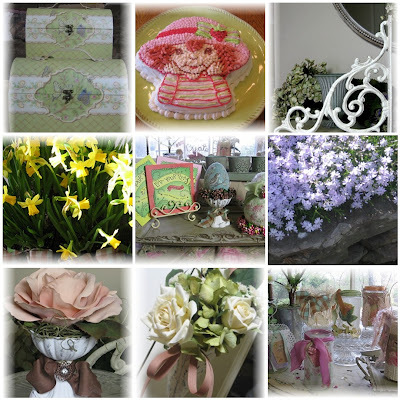 Pink Friday "Coming Up Roses"
Please join us for Pink Friday at Make Mine Pink. This week's theme is "Coming Up Roses". Click here for my specials for Friday only! 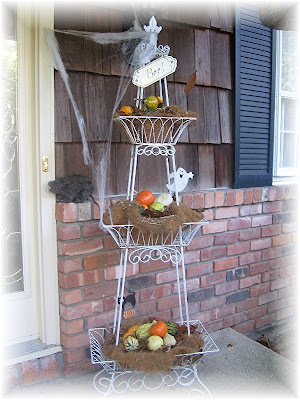 I have always been one to decorate more for the fall than for Halloween. Until my kids got older and complained it wasn't scary enough. 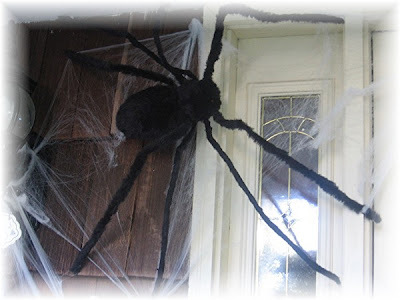 So we added a huge spider, some webs, an ugly rat and on the night of Halloween I put out a flying bat and turn on the fog machine. They love it! Every year, one of my neighboors carves these amazing pumpkins. Here are a few pics I thought you might like. 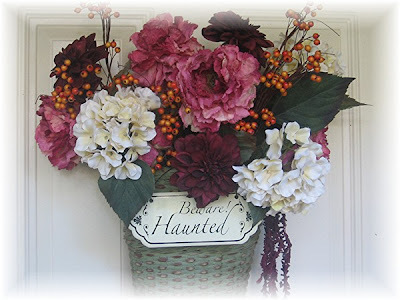 For more fall porch decorating, head over to Melissa's at The Inspired Room.